Arrive to the city of Guayaquil or Quito, Ecuador. We pick you up and take you to your city center hotel. Today we will take you to the airport for your flights to the Galapagos – brimming with plants and animals found nowhere else on earth. You will be met there and transferred to your ship to begin your next adventure – an 8 day cruise of the Galapagos Islands. Chose between larger, more stable vessels of 90-100 passengers and the smaller, more intimate vessels (16-20). Chose the ship that suits your travelling style and the sturdiness of your sea legs! Whatever your choice you will have a comfortable cabin, excellent food throughout and, importantly, naturalist guides who can help you tell your booby from your finch. Itineraries vary depending on your cruise ship, but every day you will have two excursions – boarding a panga (motorized raft) to go ashore and walk with your guide through mangrove, cactus forest and beaches to experience the nature of these amazing islands. 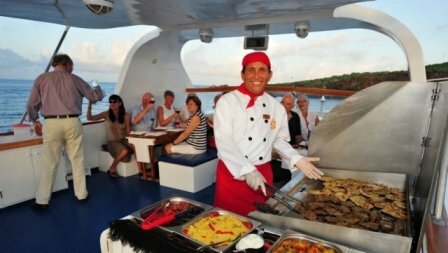 The benefit of a longer cruise is that you can totally immerse yourself in the incredibly varied nature and landscapes of the Galapagos Islands. NB This is a sample itinerary to give you an idea of a typical Galapagos cruise -actual excursions may vary. In the afternoon you being your Galapagos exploration with a short walk on the island of North Seymor, Immediately you will see the wealth of Galapagos wildlife with many brigh red crested Frigate birds as well as the famous blue footed boobies. Genovese Island is considered a bird watchers paradise. The volcanic sea cliffs around Darwin Bay offer prime breeding places for frigate birds, swallow-tailed gulls, storm petrels, tropic birds and red-footed boobies. 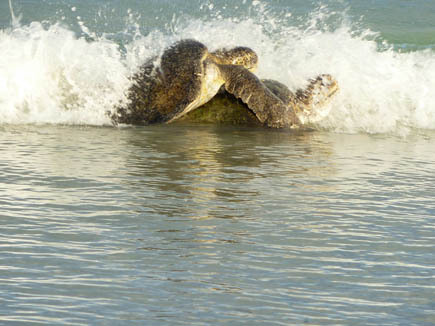 You will also have a chance to swim off Darwin´s Bay and appreciate the colorful fish, sea lions and more. This island has a strance volcanic landscape featuring many lava cones. In the morning, enjoy a short walk to a viewpoint for a fabulous panorama of the Islands and Pinnacle Rock. In ther afternoon, you will head to Sullivan´s Bay; an excellent spot for snorkelling off a white sandy beach. This is a good place to spot marine iguanas and lava lizards. Tours today start with a trip to the Charles Darwin Research Center. This facility is where hundreds of international scientists and volunteers work to preserve the ecologically unique Galapagos Islands wildlife. This is also the home ot a fascinating tortoise breeding program that is trying to replace lost tortoise populations, as well as the home of Lonesome George – the only surviving Pinta Tortoise. Continue to the highlands of Santa Cruz Island where the lush green is quite different to other Galapagos Islands. 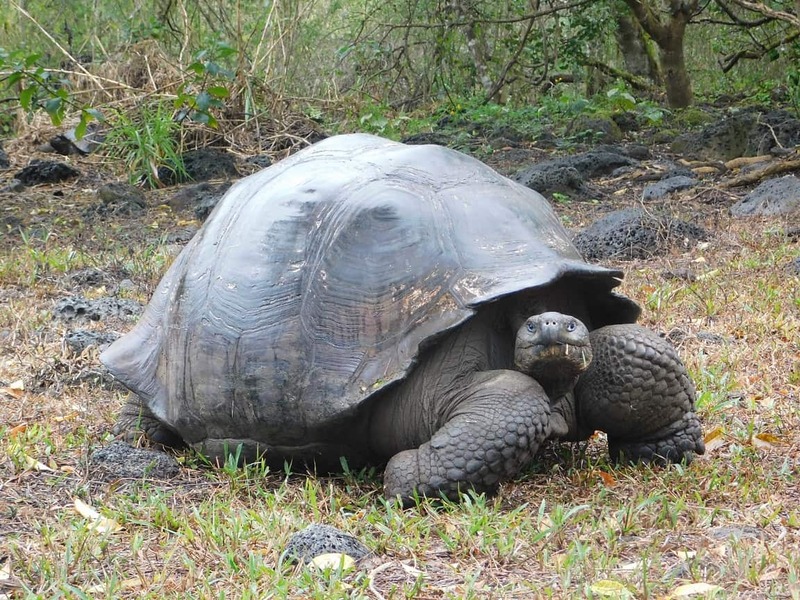 You will get a chance to see enormous pit craters, lava tunnels and giant tortoises roaming freely. 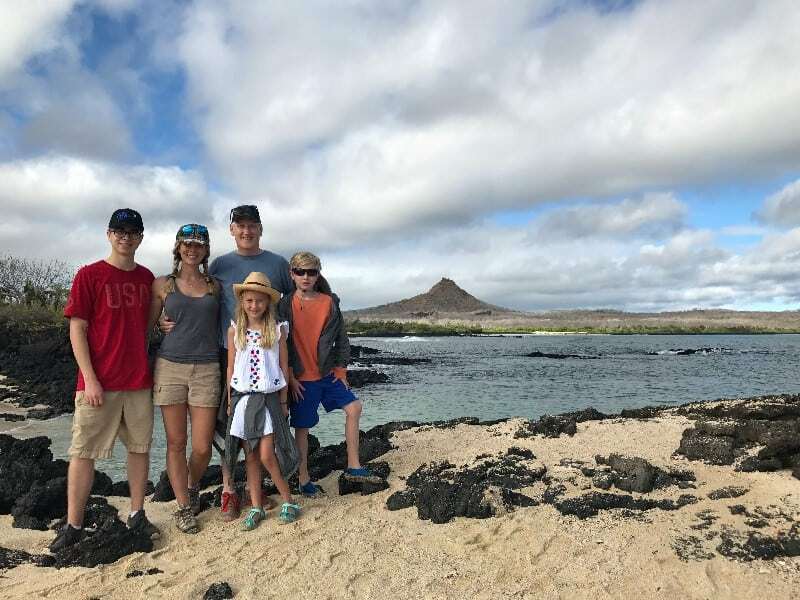 Land on an olive green sandy beach and take a short walk past mangroves to a lagoon which usually holds one of the largest flamingo populations in the Galapagos. Espanola is the most southerly Galapagos Island and because of its remote location has a high number of endemic flora and fauna. Nearly all of the world´s 12, 000 pairs of waved albatrosses breed here. Your guide will help you to spot Hood mockingbirds, blue-footed and masked boobies, Darwin finches, Galapagos doves, hawks, red and green marine iguanas, Yellow Warblers, lava lizards and more. At Gardner Bay, land on a white sandy beach populated by a large sea lion colony. Here after a short walk to see the wildlife you have time to snorkel off shore. At the afternoon landing at Suarez Point, get close to sea lion families and Iguanas basking in the sun, see Sally lightfoot crabs, Nazca Boobies and the spectacular Red-billed Tropicbird. There is a huge amount of wildlife at this point and your short trail here takes you past an incredible variety in a small area. 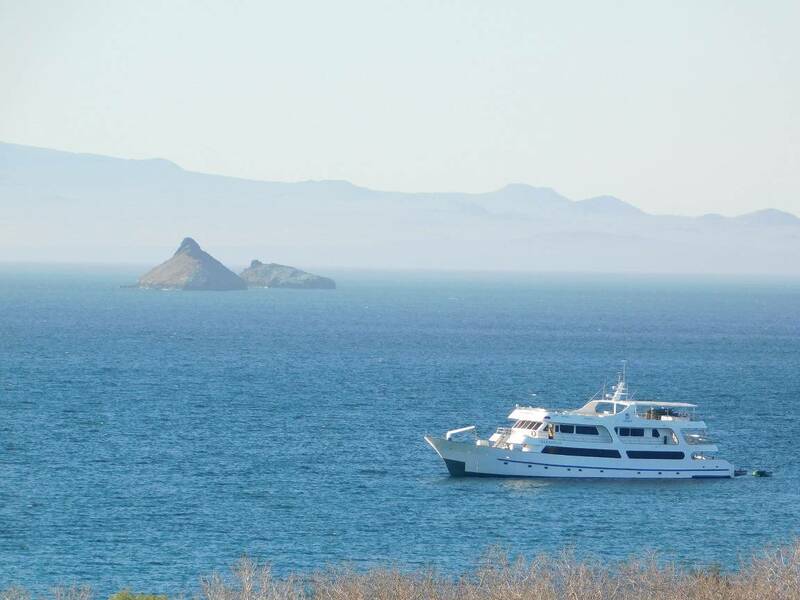 San Cristobal Island claims some of the most spectacular scenery in The Galapagos Islands. At Pitt Point, climb to a volcanic tuff past some spectacular viewpoints. Here is probably the only place where it is possible to see all three kinds of boobies: Nazca, Red and Bllue-footed, all in one place. It is also an excellent place for snorkelling and dinghy rides to spot large numbers of sea birds. Cerro Brujo is a beautiful white sandy beach, ideal for snorkeling. This protected bay is a good place to see sea turtles and rays. Visit a lagoon to spot migratory birds such as Ruddy Turnstones and Black-necked Stilts. From here there are wonderful views of Kicker Rock at sunset. The meaning of this small island is Sea Lion Island because of the large number of sea lions that frolic in the waters here. 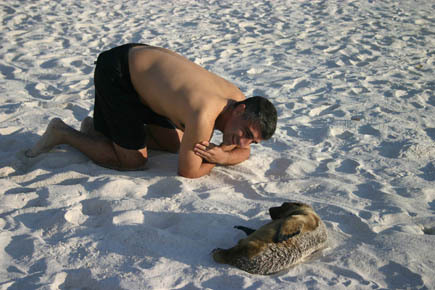 Enjoy swimming with the sea lions before your boat heads to San Cristobal Island. There you Galapagos Cruise ends and we take you to the airport for your flight back to Guayaquil / Quito and home. Option! Continue into Peru for an unforgettable Machu Picchu Tour.